I think its Quartzite, not 100% sure, but its lovely anyway. From the beach at Birdlings Flat. 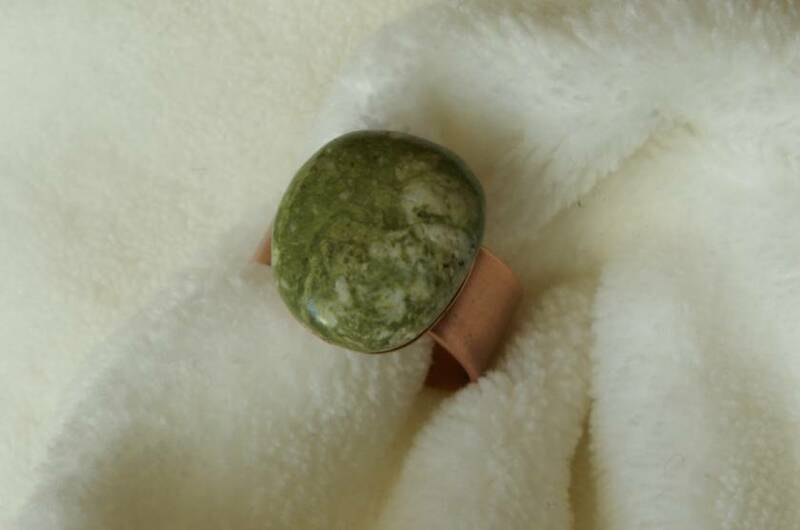 Ring size is a 10, but can be gently spread to fit your fingers. So regard it larger than 10. 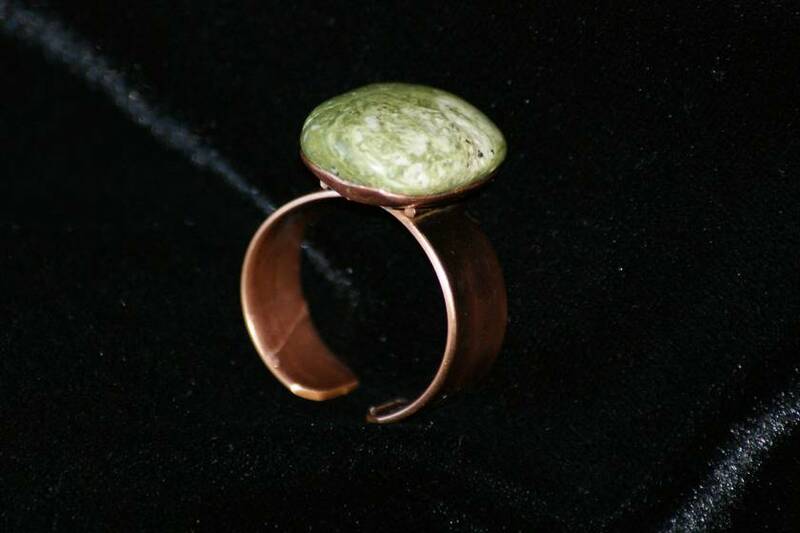 Ring is recycled copper pipe, and recycled copper sheet for the mounting. 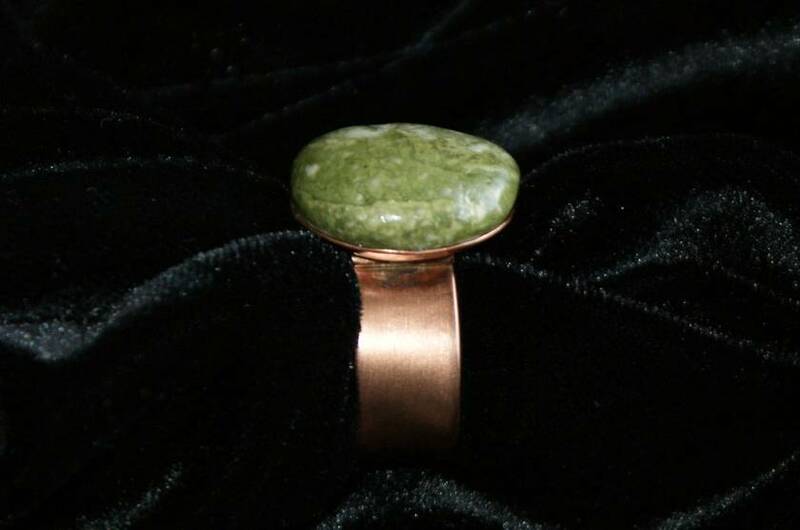 Jemstone is 2.0cm long, and 1.7cm wide. 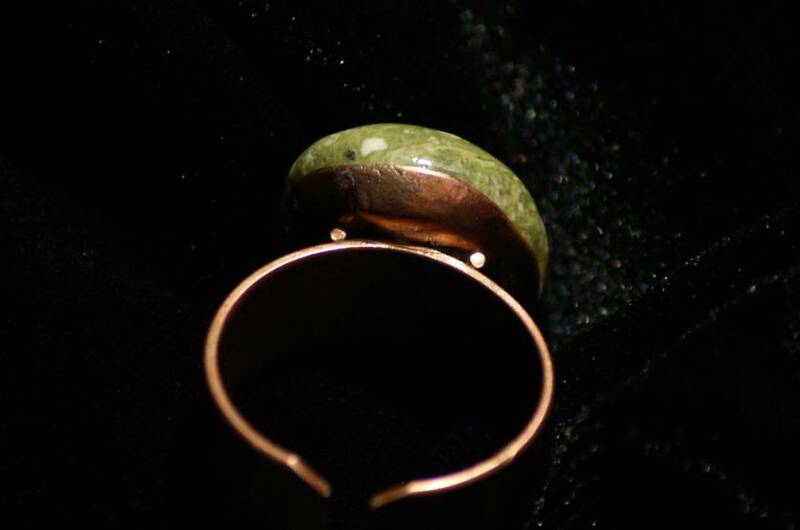 Lacquered against oxidation, and the gemstone has been coated as well.